Mrs. Judith Broadwater, 78, and resident of Bossier City, passed away peacefully in her home on September 19, 2017, after a lengthy illness. 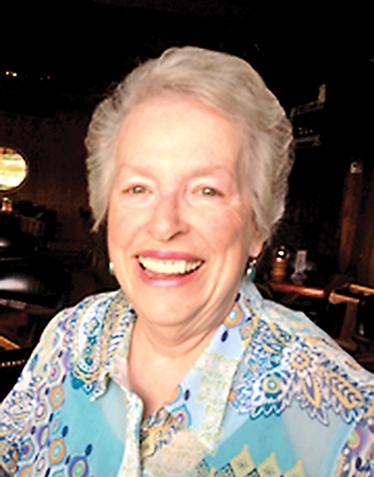 Judy was born in Natchitoches Aug. 2, 1939, to Ollie O. Grayson and Angela Gillen Grayson. Judy was a devout catholic and lifelong member of The Minor Basilica of the Immaculate Conception in Natchitoches. She devoted her life to taking care of her family and cherished spending time with her grandchildren. Reading and sewing were her passions. Judy retired from ConAgra and Pilgrim’s Pride in Natchitoches where she worked as an accountant for many years. She later worked for Centerpoint Energy in Shreveport. She was preceded in death by her parents; her son, Larry “Rock” Ray Broadwater Jr.; and her sister, Betty Grayson Jones. Judy is survived by her husband of 59 years, Larry Ray Broadwater Sr. of Bossier City; two daughters, Sharon Morgan and husband Ward of Shreveport, and Jennifer Elliott and husband Dwayne of Bossier City; sister, Billie Grayson Vercher of Natchitoches; and brothers, George Grayson and wife Merry Jo of Natchitoches, and John Grayson of Natchitoches. She was the proud grandmother of Alexandra Morgan, Maxwell Morgan, Olivia Morgan, Taylor Henry, Trevor Henry, Dalton Elliott and Dylan Elliott. She is also survived by a host of nieces and nephews. Funeral services for Judy will be at 1 p.m. Friday, Sept. 22 in the Chapel at Blanchard St. Denis Funeral Home, Natchitoches, with Father Blake Deshautelle officiating. Interment will follow at Memory Lawn Cemetery. Visitation will be from 11 a.m. until service time Friday. The family extends their deep and heartfelt gratitude to the nurses and staff at Hospice of Shreveport Bossier, and especially Shannon Boughton for her tireless hours of love, care and support. Pallbearers will be Ward Morgan, Dwayne Elliott, Ronnie Vercher, Bob Ralston, Bruce Ralston and Tyler Ralston. Honorary pallbearers are Taylor Henry, Maxwell Morgan, Trevor Henry, Dalton Elliott and Dylan Elliott.